At the height of summer basil is at its best. Coming from the Mediterranean regions, it loves hot summers. Warm summer temperatures along with high humidity and abundant rainfall ensure a great crop. Basil is easy to grow. You can buy plant starts at garden centers or you can start them from seed. They need a warm place to germinate, but once they are started they grow quickly. Frost will kill them so I start mine in the house and move them out on warm days. If it’s early and looks like frost, I cover them. Feed them a balanced fertilizer like 10-10-10, or if you like going organic, compost tea works well. Most organic fertilizers are heavy in nitrogen (the first number). That will work fine because that is what contributes to green leaves. Basil grows quickly and will get large. You can keep its size down a bit by pinching off the tops of the stems and using them. You can also pinch off the flower stems unless you want to keep the seeds. This will allow the plant to put more energy into making leaves. If plants get too large, cut them back and start with small plants again. When I harvest my basil I will chiffonade the leaves and freeze it. 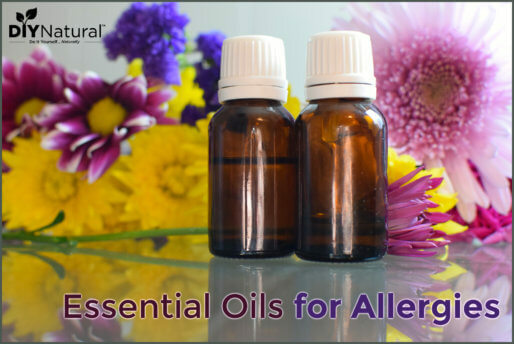 I also dry some for use in soaps and creams, as basil is naturally antibacterial. And of course I always make lots of pesto. Sweet Basil is the most common with large leaves and a sweet flavor. Genovese Basil is the next most common and is frequently found in garden centers. Cinnamon Basil has definite cinnamon or clove undertones. Thai Basil has a similar flavor profile to that of the Cinnamon variety. Holy Basil or Tulsi is used in Eastern healing. It is often furry with clove-type notes. Lemon Basil tastes like sweet basil with freshly cut lemon. Lime Basil is similar to the taste of freshly cut limes. Lemon Lime Basil tastes like both lemon and lime. Dark Opal Basil is very dark purple and has a sweeter note. Spicy Bush or Globe Basil is sweet but has a bit of heat to it. Purple Ruffle Basil is another sweet basil. Lettuce Leaf Basil is similar to sweet basil and has large ruffled leaves. Large Leaf Basil is also similar with large flat leaves. Boxwood Basil is another compact variety with small leaves. It often forms a globe-like basil plant. Red Rubin Basil has reddish to magenta colored leaves. Siam Queen is a cultivar of Thai Basil. African Blue Basil is a bluish oval-leafed variety with strong clove scents. This is my new favorite! Sweet Dani Basil is a newer variety that has a lemony scent and sweet leaves. Corsican Basil has greenish purple leaves and an anise-like flavor. Licorice Basil is dark purple and has a strong anise flavor. Summerlong Basil is a great producer for the entire season without having to pinch it back. As you can see, there are a great many types of basil. To find what you like, simply taste them and let your tongue decide. Some are better for cooking, some are better fresh, and some are best for tea. Some, like the lemon and lime types, are great for infusing vinegar. 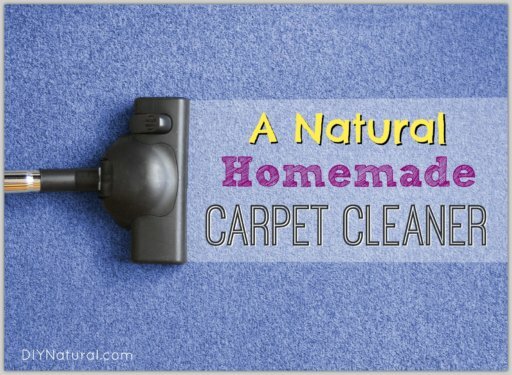 This is an easy recipe, although it does take some time to make. You can use any type of basil according to your taste, but I like the lemon and lime types. They have a definite basil taste with the addition of the flavor of freshly cut lemons or limes. Sterilize your jar and lid and set aside. Add the basil and flowers to the jar. Pour the vinegar over the top and close tightly. Shake well and set in the sun for a week or so. Shake daily to release more of the plant oils into the vinegar. After a week, taste the vinegar to see if it has enough flavor. 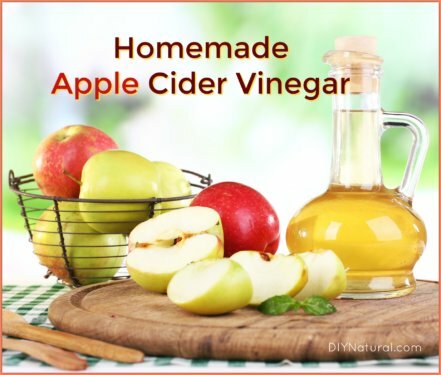 If it does, strain it and use the vinegar for salad dressings or other culinary uses. If it’s weak yet, strain the leaves and add more basil. Let it set for another week and taste it again. When I use it in salads, I just shred some lettuce, chop some tomatoes and cucumbers and add whatever else I have on hand. This week it was snap peas and small squash. I toss it all with a bit of olive oil some sea salt and cracked pepper. Then I add a splash of the infused vinegar. It tastes like I just squeezed a lime over it! I’ve also used this vinegar to make ponzu. You can find the recipe here. Looking for some other ways to use up all that homegrown basil? We have many more creative ideas for How to Use Fresh Basil! 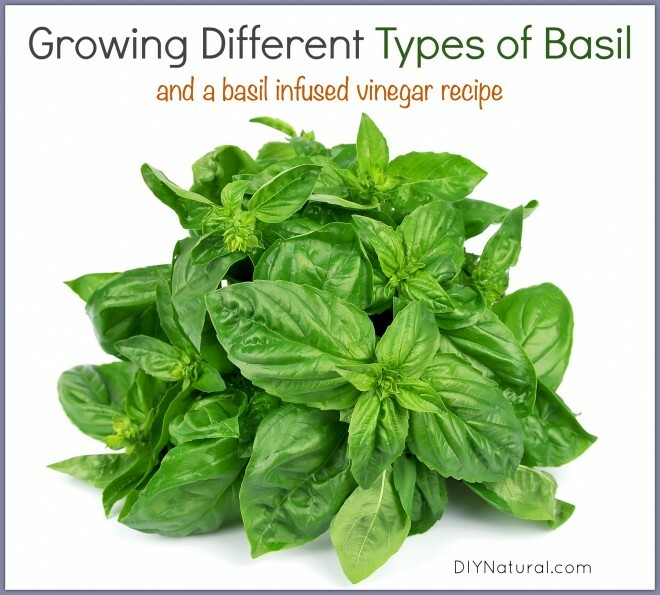 Have you tried any unusual basil varieties? Tell us about it! Is that whole onion? With peel? Chopped? Why would chives have a purple flower? FYI: Recently unsubing from a lot of blogs, but not yours. One of the best. Hey Rachel! The onion and garlic tops that I have here are purple, but you can use any color. They leave a nice color in the bottle after it’s all infused and not so sharp on the garlic and onion taste. I don’t use the onion or garlic bulb because I’m afraid if the taste overwhelming the basil. You could use it though, peeled or not as your choice, and adjust it to what you want to use it for. Have fun with it! You could also add rosemary, peppercorns or lemon balm for a lemony taste. Hi Matt and Betsy. I really appreciate the list and descriptions of basil varieties. I’m very new to growing basil and found several unmarked types at my nursery. Now they are growing and I don’t know what I have. Can you provide images to go with your great descriptions? Thanks for helping a novice. you can easily look them up yourself by entering the cultivar names in your favorite search engine then click on “images.” Enjoy, and have a great day!